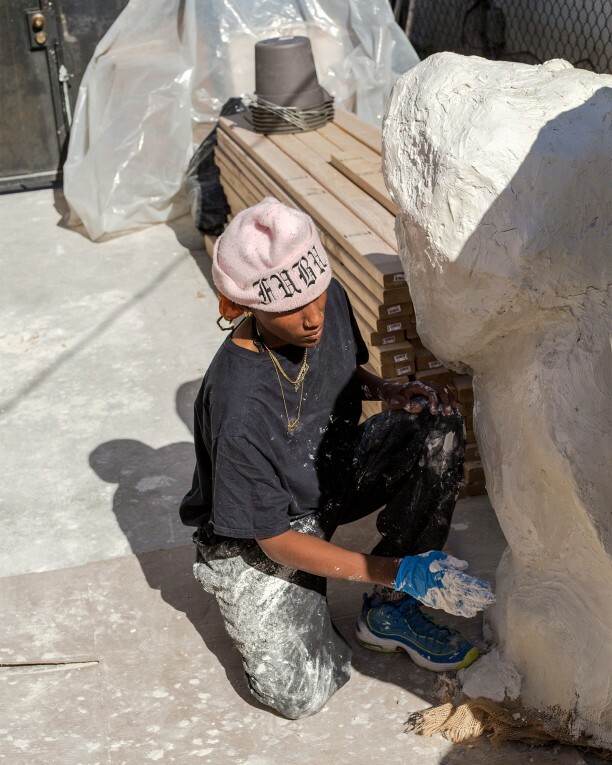 MOCA Assistant Curator Lanka Tattersall and artist Lauren Halsey discuss Halsey’s site-specific installation we still here, there, which reflects a spectrum of everyday Black cultural experiences in the artist’s neighborhood of South Central Los Angeles. The conversation will be followed by a musical performance by artist Adee Roberson, whose work weaves rich landscapes and found photographs with live performances incorporating synthesizers and percussive instruments. As a sonic activation of the exhibition, Roberson will perform a cosmic abstraction of Clyde Stubblefield’s “funky drummer” beat, which originated with the 1970 song by R&B legend James Brown.